These are form fitting, smart with a cinched in waists , these are perfect for taking you from your work day desk right through to drinks in the evening , smart tailoring at its best. Karen Millen dresses do all the work just add your accessories or a tailored jacket and you’re ready, making early morning decisions easy. 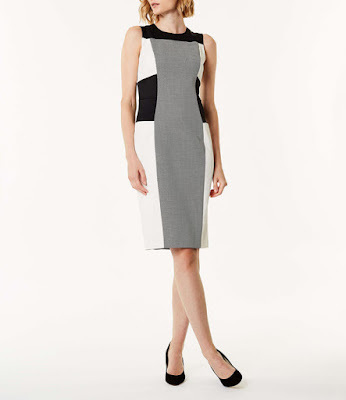 On the days you need to ace that presentation, this dress will give you one less thing to worry about. Fitted in all the right places, it's designed with a corset-inspired waist and a modern open neckline (perfect for showing off your favourite necklace). Smart, modern and unique. This figure-hugging dress is crafted from premium Italian fabric with precisely placed colourblock panels that perfect your figure. Finished with an Italian jacquard front, this high-stretch dress springs back to its original shape every time you wash it. Ace that presentation in this. Crafted with a hint of stretch for unbeatable comfort, you'll want to wear it every day. Designed with a panelled waist that shapes your figure, the capped sleeves leave your arms free for your favourite arm candy. 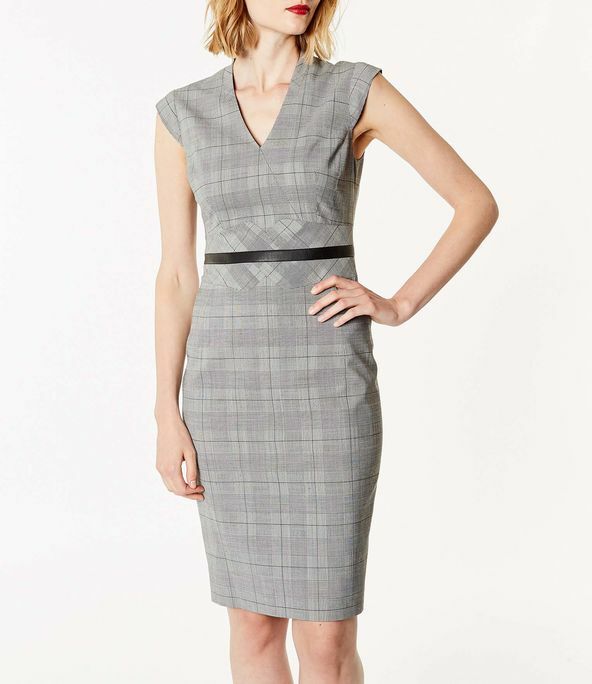 Every working wardrobe requires an office-ready LBD, and our black tailored pencil dress fits the bill perfectly. 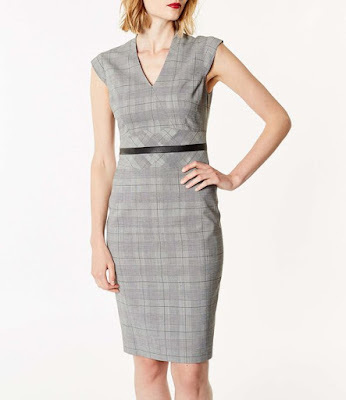 Designed with subtle military influences, it has a contrast waistband and V-neckline.